Narmada-imaging. 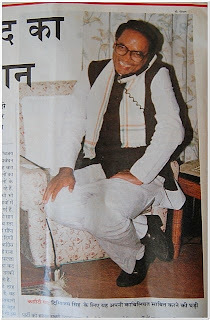 A photo spot: Journalism pic.-Digvijay Singh--Opportunities in Journalism. (post no.114). Journalism pic.-Digvijay Singh--Opportunities in Journalism. (post no.114). 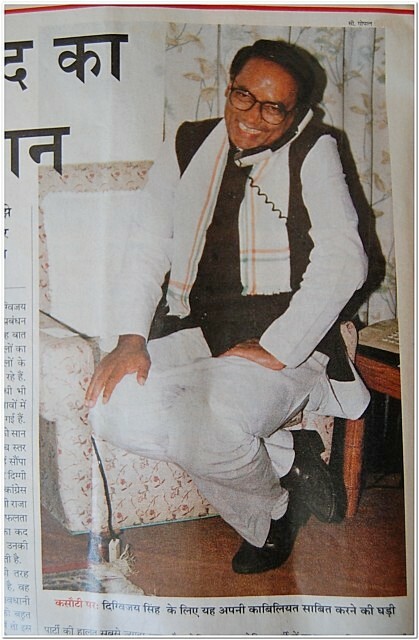 This is my fav pic of Shri Digvijay Singh, took when he was CM of MP......There is a lot to earn name and fame in Journalism photography, also called photo-journalism....If u r young and wish to do some extra creative work, there r opportunities in TVs, Newspapers, Magazines, where the pictures are sought every minute, with what is happening in society, in Cities, towns, villages. In politics, films, fashion, Sports,society and lots of other fields. 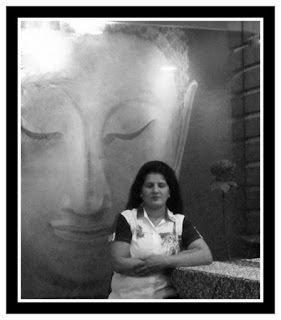 There is demand of fresh photographs of happenings in these fields, so the public cud be kept uptodate. A day's delay, makes the picture old & out of market, particularly in Newspapers, where there is great competitions to publish the latest pic and who wins the race gets the highest of circulation and more credit, more money. 2) FOR MAGAZINES, U CAN GET SOME TIME AND WORK ON THE NEWS AND PICTURES as there is a fixed date for publication, may be weekly, fortnightly, and monthly. So good chances of earning money once you get high praise in the Editor's eye AND be a regular columnist for their papers with pictures accompanied with news tag lines. 3) In TVs u see daily reporting from different areas by video news channel persons going place to place of interest and places of recent happenings and, besides where they cannot reach, ur shooting pix even with ur camera phones will get u good opportunities of getting jobs there, as they wish to appoint people in areas their reach is not possible, may be becoz lack of staff or time to cover up the stories.If u choose glamour field, u can cover up those places, where celebs are there. Now everywhere fashion shows are held round the year. There are reality shows auditions to cover. A lots of cultures programmes await the journalists, photo-journalists to report them to newspapers, magazines, TV news channels. THE APPROACHES ARE ENDLESS...so the opportunities.